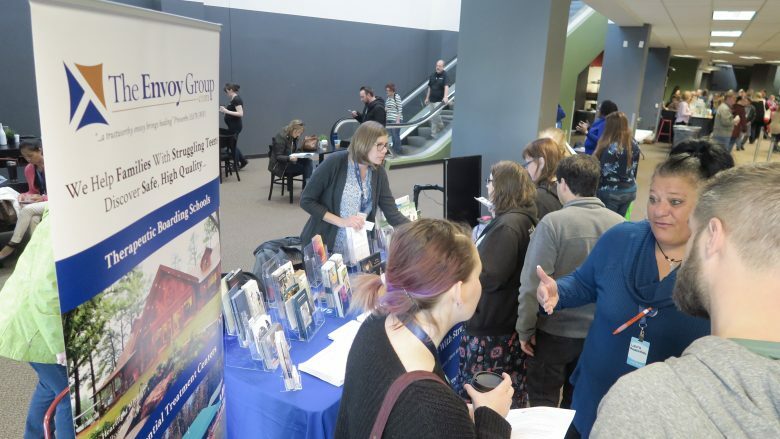 The mission of The Envoy Group is to educate and assist families who are in the process of searching for help for their struggling teen by providing personally-validated information about competent, compassionate, and ethical programs and services which potentially meet their need and their budget. Every struggling teen deals with a different mix of issues from depression to anger to cutting, and we make it our priority to know which therapeutic boarding school programs potentially best fit the needs of these teens, who by acting out are truly crying out for help. There are literally hundreds of programs across the country, but finding what may be the right program can be incredibly difficult and time consuming. Our mandate is to help parents get connected with therapeutic boarding schools, residential treatment centers, and wilderness therapy programs that potentially best fit their needs. Not every boarding school can address the problems your teen may be struggling with, and not every program can enroll teens who struggle with certain issues. Thus our commitment is to only suggest programs that can potentially address your teen’s needs. If we know that a program does not potentially fit your teen’s needs, we will not suggest that program. You can also always ask us if the program you are considering will be able to successfully address the problems your teen is facing, and we ‘re committed to honesty about our assessment. We recognize that most families never thought they’d be in the situation they are in today. We hear stories every day of families who did everything right in bringing up their teen, and yet their teen is still struggling. We seek to provide parents the resources and the education to help them understand their situation, why it’s happening, and what they likely need to do to help their teen get back on track. We don’t seek to be primary sources of this information, but rather to point parents toward existing resources that will be most helpful. Many of the parents we speak with feel like failures as parents. They thought they had done everything they needed to do to ensure the success of their struggling teen. Rest assured, you are not failures, but you may need help understanding the underlying issues that your teen may be struggling with. Progress in your home will require a change of mindset, and some changes in how you approach your teen, but the key to everything is learning and understanding your teen’s heart from the people who deal with teens in crisis every day. One of our secondary missions is to help parents understand that you are not alone. We receive literally hundreds of requests every month, and we hear the same heartbreaking stories over and over again every day. The consistent patterns we see are often derived from the assumptions built into the cultures teens fall into, and often times they get swallowed whole before they realize they want out. The key is getting them out before it consumes them entirely. Most families have no idea who to turn to, where to turn, or who to trust. Our staff at The Envoy Group make being trustworthy in all of our interactions with families, programs, and professionals one of our highest priorities. Our ethics are guided by Biblical principles and integral faith. All of our staff members are active members of their church communities and are accountable to their families, leaders, pastors, and church communities. We want you to feel that you can trust us, and we recognize that’s not always possible given the nature of the internet. If you have any questions or concerns, please contact us via phone and we’ll promise to have that conversation with you.